While the fashion crowd are hot-footing their way round New York, London, Milan and Paris, there’s only one event cool pups and their humans need to know about this Autumn – Lead The Walk’s pop-up boutique at Stylist Live. Once again, we’ll be bringing our own brand of canine cool to this exciting fashion and culture extravaganza to showcase the hottest looks for hounds. But in our quest for leading never following, we’ll be raising our Stylist Live game with bigger and bolder pet styles from across the globe AND with a five-strong squad of handsome hounds, who’ll be modelling the sizzling swag and posing for pictures throughout the show. The originals – Dave the French Bulldog (@LittlePawse9) and Basil the Boston Terrier (@Barkarama) are back to steal hearts once more. Winny The Corgi (@WinnyTheCorgi) – this well-turned out Pembroke Welsh Corgi, famed for his impeccable style and keen interest in puns, will be kicking off the fun with a Thursday appearance. Ari of Honey I Dressed The Pug (@HoneyIDressedThePug) – adored for his cool Pug swag and hip London street style, get up close and personal with this fashion hound at Friday’s show. Bruno The Mini Dachshund (@BrunoTheMiniDachshund) – the original ‘stink eye’ expert and box destroyer, this dinky cute-ster will be making his Stylist Live debut on Saturday. 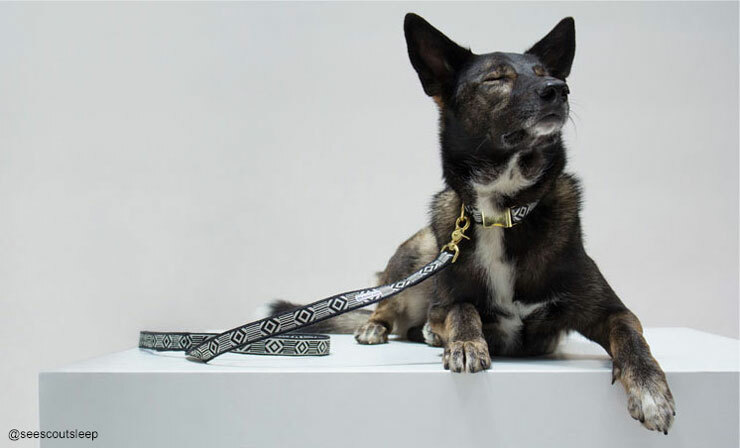 With Stylist Live billed as a Festival of Inspiration, Lead The Walk will be inspiring style conscious dog lovers with an array of pet must-haves. From well-heeled fashion hounds to adventure lovers, there’ll be styles to suit all looks and budgets, with many brands exclusive to Lead The Walk in the UK. Just some of the styles available will include THE doggy trophy jacket of the year – Pethaus’ Raw Denim Dog Jacket, specialist fit hoodies and tees from The Long Dog Company, cool adventure wear from New Zealand’s Camp Cloon PLUS an exclusive capsule collection designed by Lead The Walk and East London hound hipsters Fetch & Follow, which will get its first-time reveal at the show. Join us at Stand M43 at Stylist Live on 13 to 16 October at the Business Design Centre in Islington, London – humans only. For tickets visit Live.stylist.co.uk. See you there!